MADRID The secret to getting a job is dressing for success. You have to look like you mean business. You have to admit that you don’t look very approachable. MADRID …A little less skirt… a little more cleavage… We need to plan a shopping trip; a complete makeover. I’m going to teach you everything I know about how to dress. We’re going to make this work. I promise I won’t stop until you’re guaranteed a job. 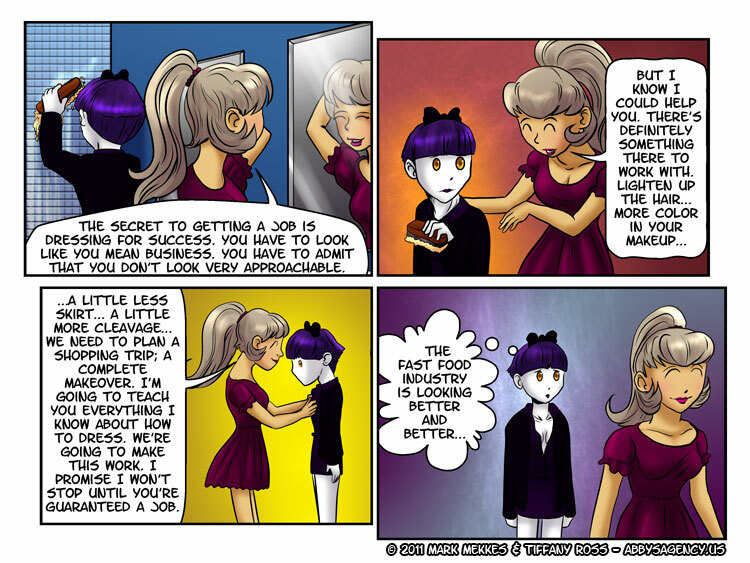 Here’s another thing that makes it easier to get a job: PANTS!